This is on/off piece hand made. Is one of the five member of Parkids collection made for Marina68 studio with Cristian Montesinos. This collection was characterized by its duality with the real function and the imaginary function. The sofa is designed to give personality to large areas and can, if so wished, be used on both sides. The cushions in irregular Shapes allow various positions, as does the peculiar all-purpose accessory. Both its gentle, asymmetric forms and its varied and striking use of colour make this item unusual and unique in its kind, giving a pleasant, dynamic experience. 2015 - ∞ Del mundo al museo. Diseño de producto, patrimonio cultural. Bhub. Barcelona. This is on/off piece hand made, sculpting the cork. 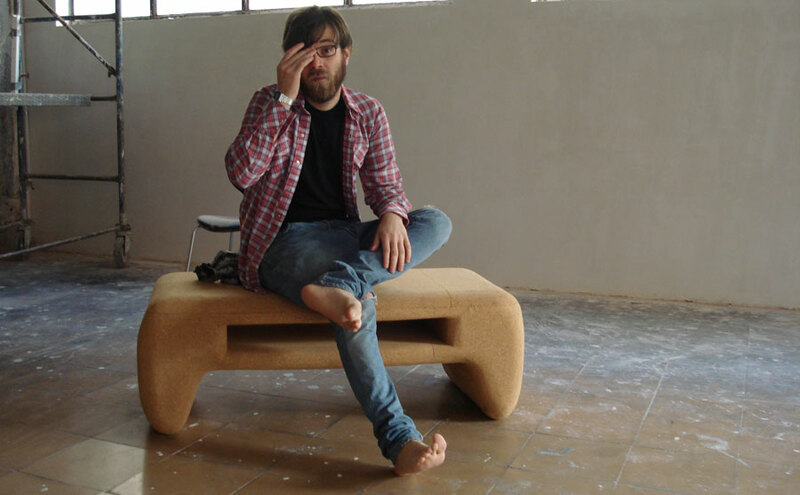 Is one of the five member of Parkids collection made for Marina68 studio with Cristian Montesinos. This collection was characterized by its duality within the real and imaginary function.. 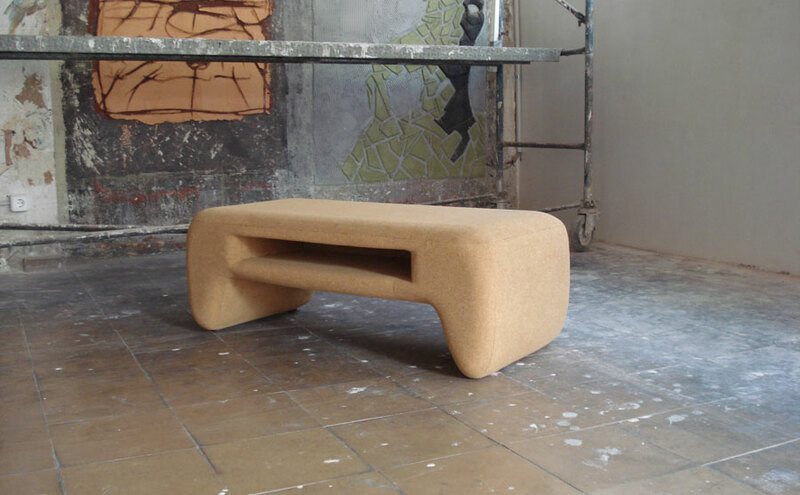 The design is intended to breathe personality into a lifeless object, Contact with cork is unforgettable: its velvety texture and the feeling of warmth that it gives make it an extraordinary material, suitable for making contact with the user. The cork industry is being displaced by the plastic lead, so cork is a material in economic retreat. This research and design project aims to find new applications for the cork industry, with an effort focused on new types of consumer goods and their manufacture, finding different industrial applications and defining designs based on cork.